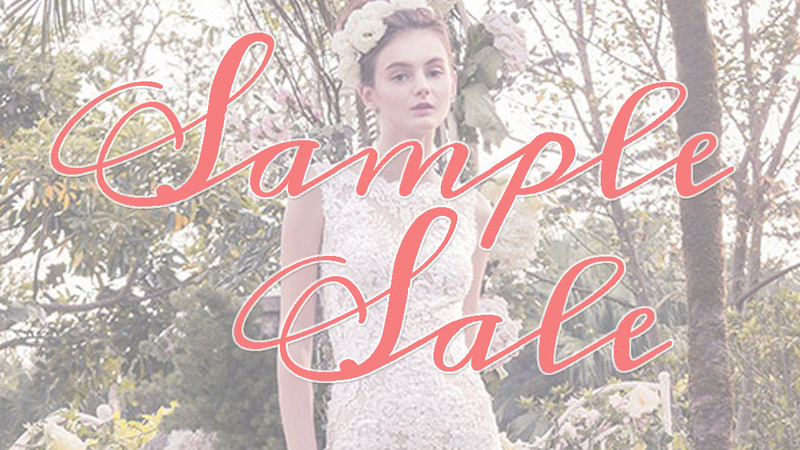 We are currently in the midst of our summer sample sale month, and it struck me how controversial the idea of a sample sale dress can seem to some brides. However, it can be a really good investment for a number of reasons. As the saying goes, don’t look a gift horse in the mouth! Put simply, it’s where bridal retailers like ourselves need to make space for the new seasons collections that are about to hit stores. We do only have a limited amount of rail space. So every now and again a sample sale is needed to make some room! This means we are happy to say goodbye to some beautiful dresses, sending them off to good homes and making some very happy brides. Why are the discounts so good, is there something wrong? Quite simply, no! The dresses we have in store are made no differently to a brand new customer order. Yes, they have been tried on by some other brides in store and may have some minor marks. But they are by no means “seconds” quality, or have ever been worn outside of an appointment. The best deals can be found on sample sale dresses that are discontinued. This means that they are unique and can no longer be ordered, so are just waiting to be discovered by their perfect bride. This ultimately means that you are often getting a really high quality dress, for a very reasonable price! I love a sample dress but it doesn’t fit..
With a sample sale dress, it is bought as seen. Therefore it is unwise to buy a dress that is several sizes too big (or small!). Our staff can advise just how much a dress can be altered, the general rule being one size up and two sizes down. It is important to think about how any alterations will impact the style and fit of the dress.